While we thought we had escaped the turns, twists and bumpy ride of not going over the Fiscal Cliff made possible by last minute tax legislation, another issue has surfaced creating some real speed bumps to filing your 2012 tax return. If you are one of those people who file your return as soon as you get your W-2 in January and you have your refund by the end of the January, you already know what I am talking about. The IRS just started accepting returns on January 30th so the first refunds were not sent until last week. And that is only if you are one of the lucky ones who can even file yet. 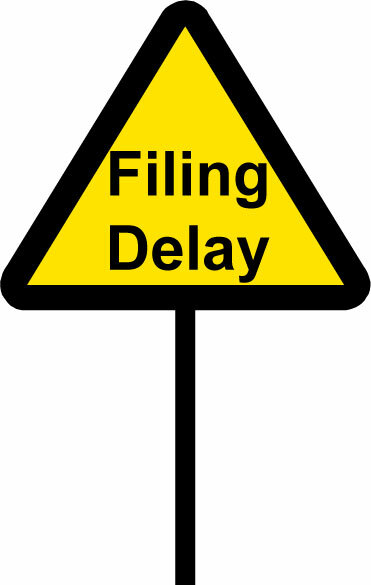 Many people are unable to file due to a delay of availability of key forms that require more programming and testing per the IRS. For instance, the popular form for parents with children in college—the form 8863 used to claim the two higher education credits is not yet released. The IRS says it should be available for filing by mid-February. It is usual that 3 million tax returns are filed by mid-February that include the form 8863. While this may sound like a lot, it is only a quarter of all the returns that are usually filed by mid-February. However, if you are one of the parents or students who has to wait, it is probably of little consolation to know that you are one of 3 million who cannot get your refund yet! Another key form that is still processing and is not expected to be ready until late February or the first of March is the form 4562 used to claim depreciation and amortization deductions. This form is used by nearly ALL of our business clients delaying them from filing at this time. Additional forms that are delayed include Form 5695 for residential energy credits and Form 3800 used to claim general business credits. Now it is possible to file a paper return instead of efiling, if the forms are not considered in “draft” form. However the paper form will, most likely, just go to the IRS and be stockpiled by them until the form is released. And then you will have to wait for the IRS to key the return into their system. All of that will probably take more time than if you just waited and efiled your return when the form was “officially” released. Also affected by the delayed forms are farmers and fishermen who have a special provision that allows them to not make quarterly estimates without penalty if they file by March 1st. Without all of the forms being available, the IRS has extended their due date from March 1st to April 15th. If this applies to you, you must file a form 2210F with your return to be eligible for this extension and waiver of penalty. If you have questions about what other forms are yet to be released, there is a full list at IRS.gov., or you can contact your tax advisor. While no one ever promised it would be a smooth ride, anticipating and having knowledge of the delayed forms may make those speed bumps, well … a little less bumpy. You are currently viewing the archives for February, 2013 at McGowen, Hurst, Clark & Smith.